ELLICOTT CITY, Md. 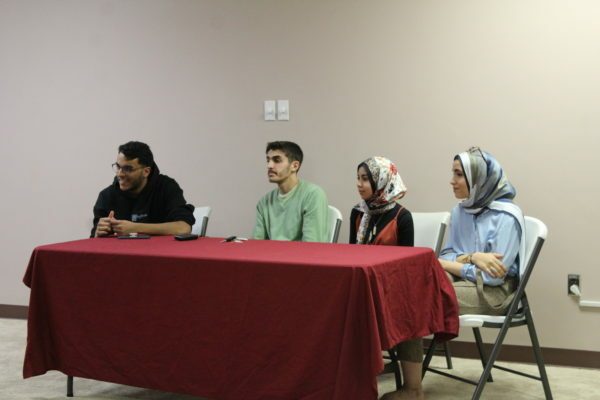 - March 18, 2019 - PRLog -- About 20 youth gathered at Maryum Islamic Center in Ellicott City for College Night, an event for high school students and youth to learn more about the college application process and college life. The evening kicked off with remarks by Dr. Mohamed Eltoweissy, Department Head and Professor of Computer and Information Sciences at Virginia Military Institute. Dr. Eltoweissy spoke about tips for success in college and the importance of character and companionship for success both in college and in life, bringing unique points to the students from the perspective of a university faculty member. The speech was followed by a panel of four current college students of varying areas of study, who shared their experiences and tips for success in college. Students in attendance had the opportunity to ask about various aspects of college life, including time management, class structure, and work-life balance in college. For more information of the event as well as to learn about our upcoming events, stay connected with us on instagram and at http://ellicottcity.islamicleadership.org/.